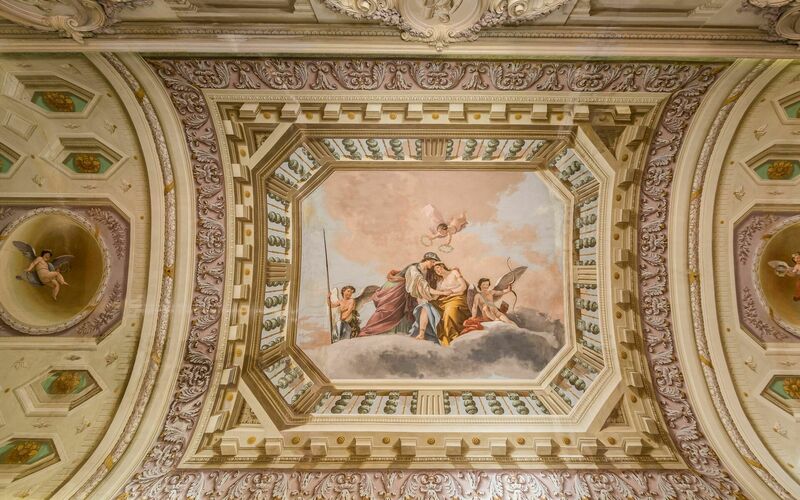 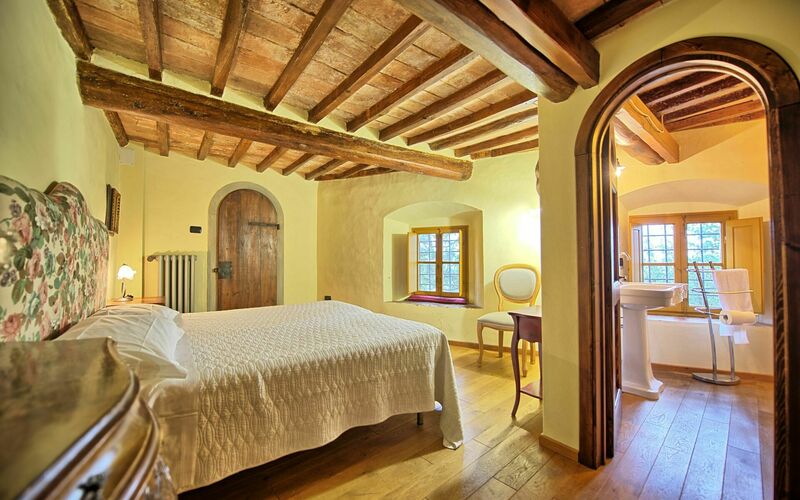 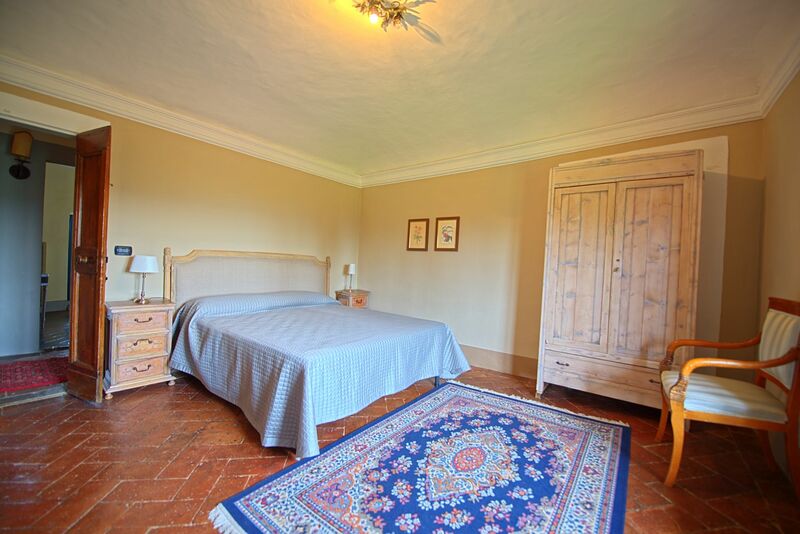 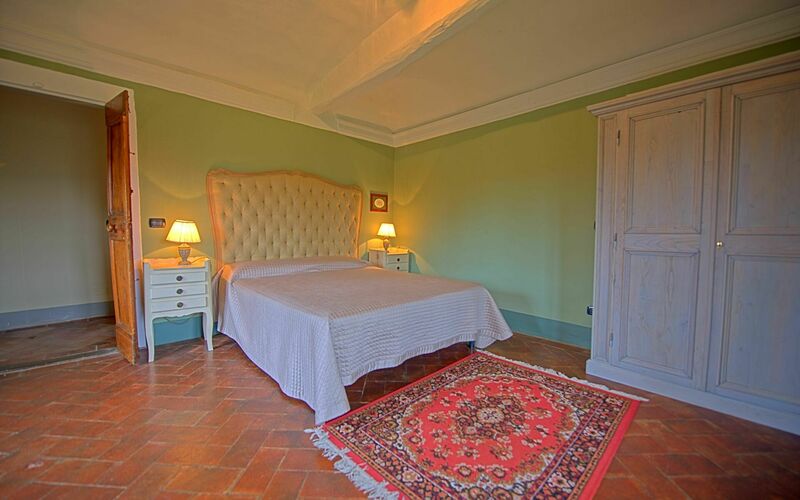 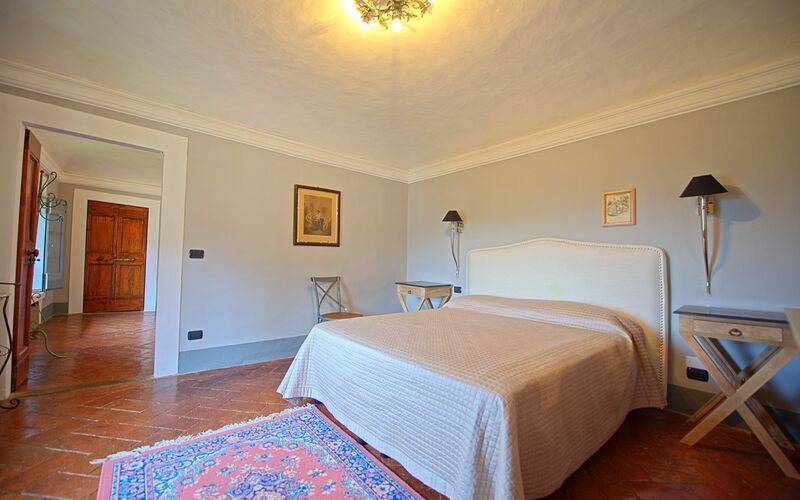 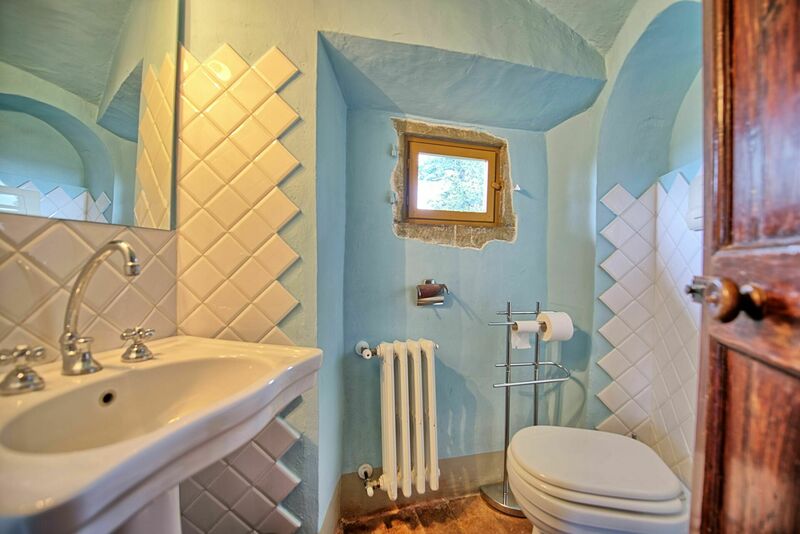 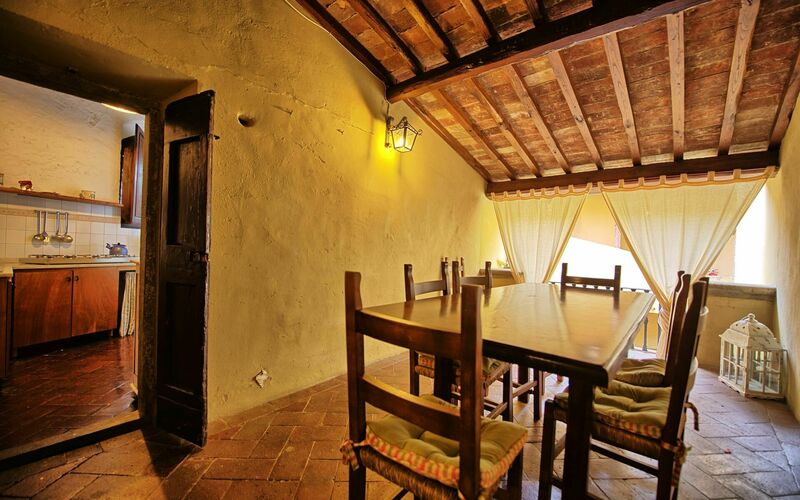 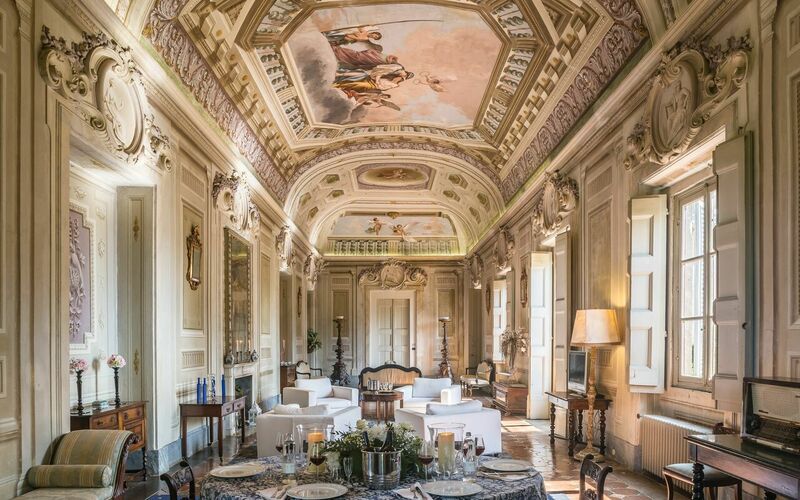 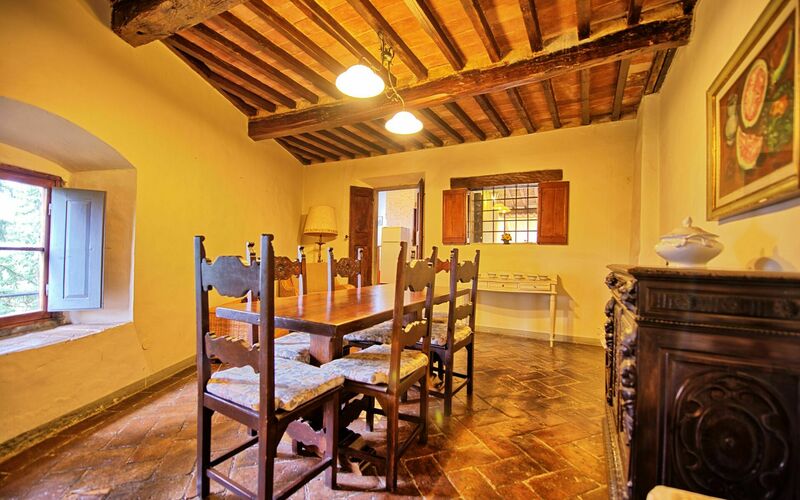 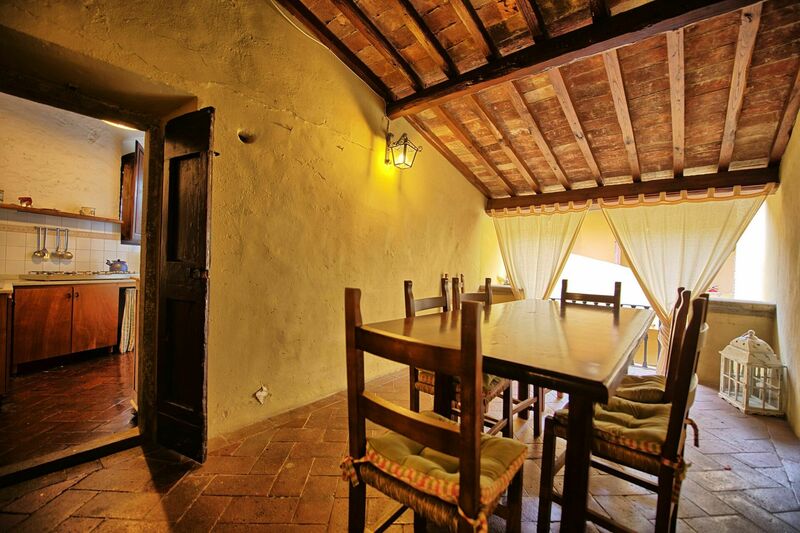 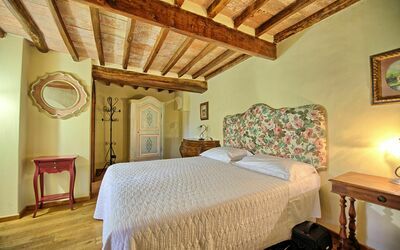 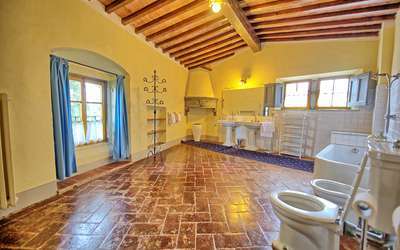 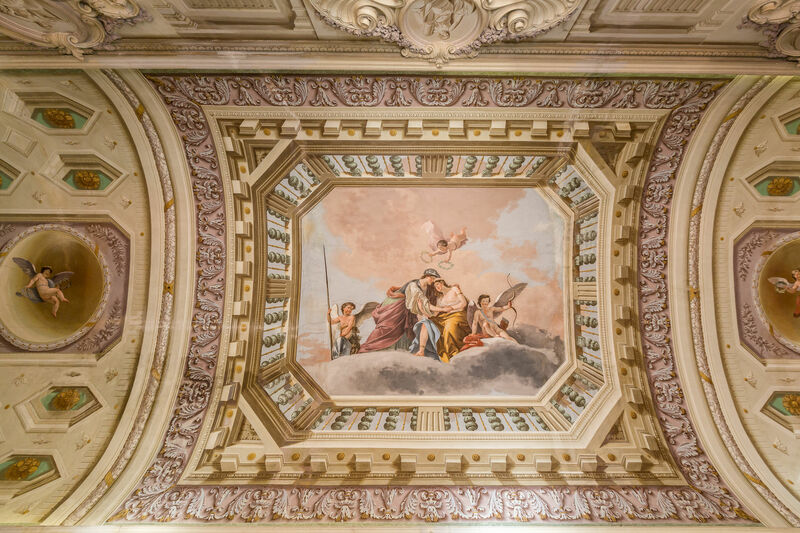 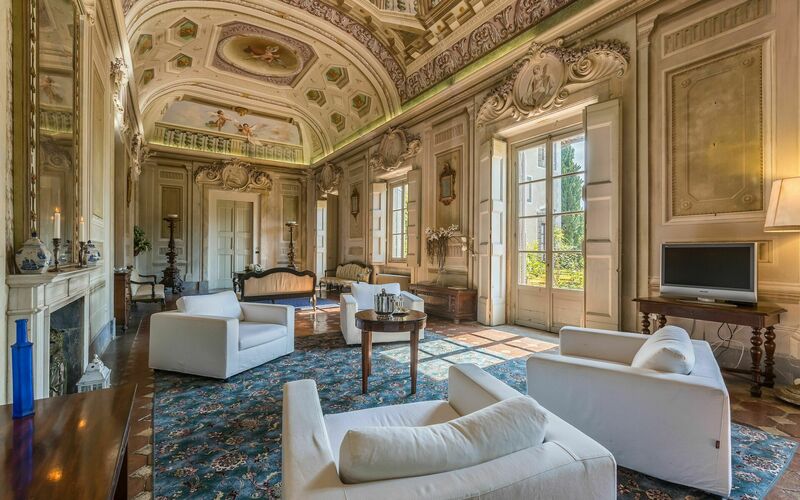 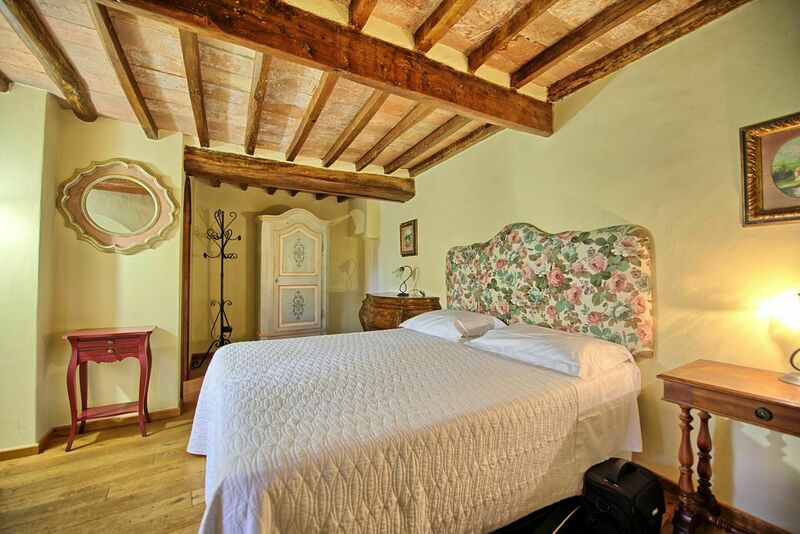 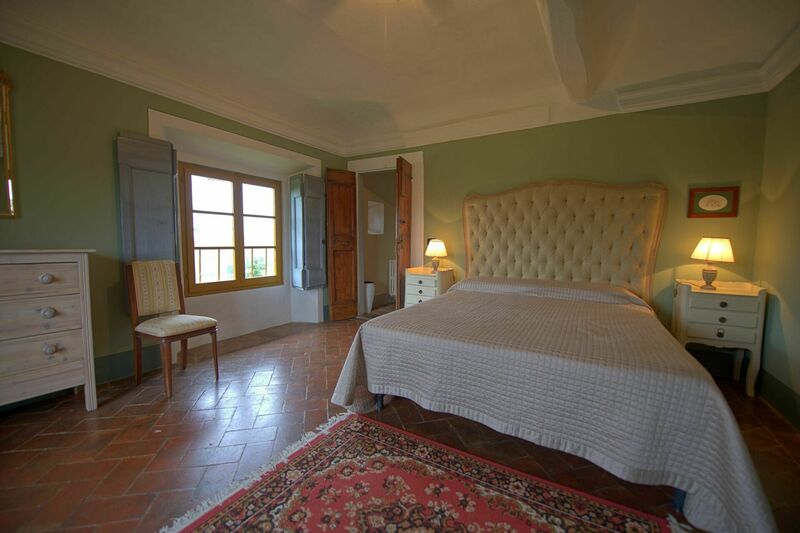 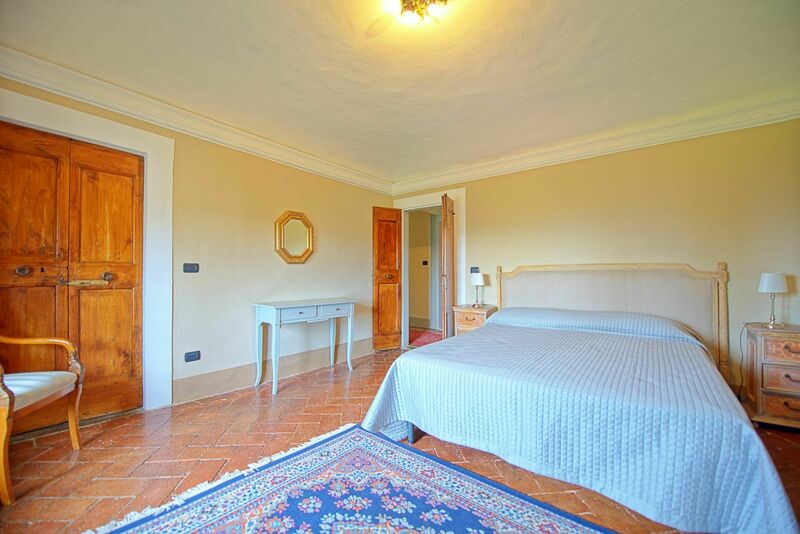 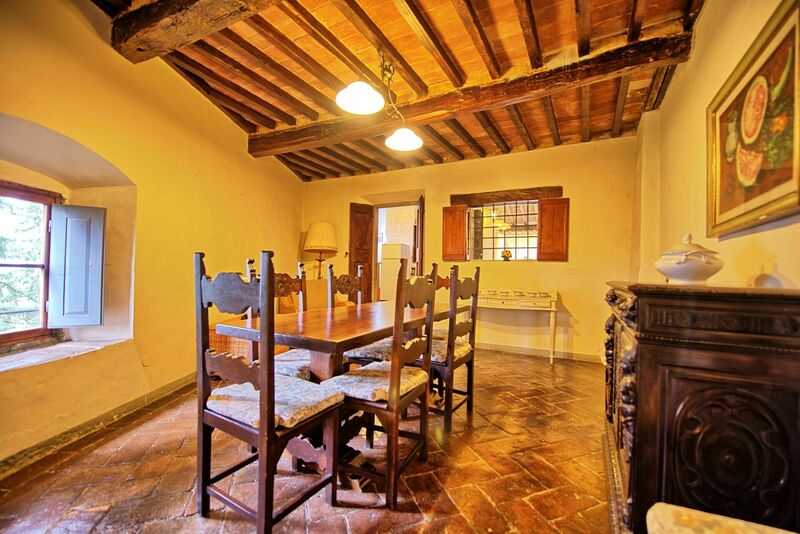 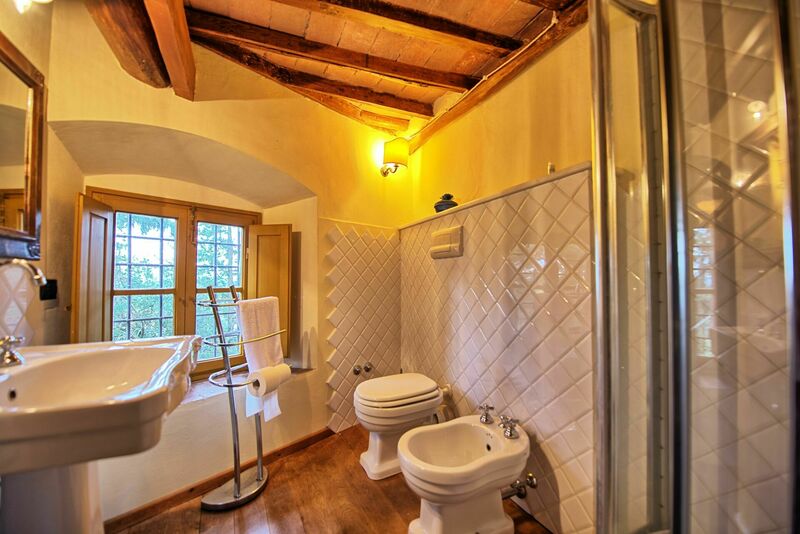 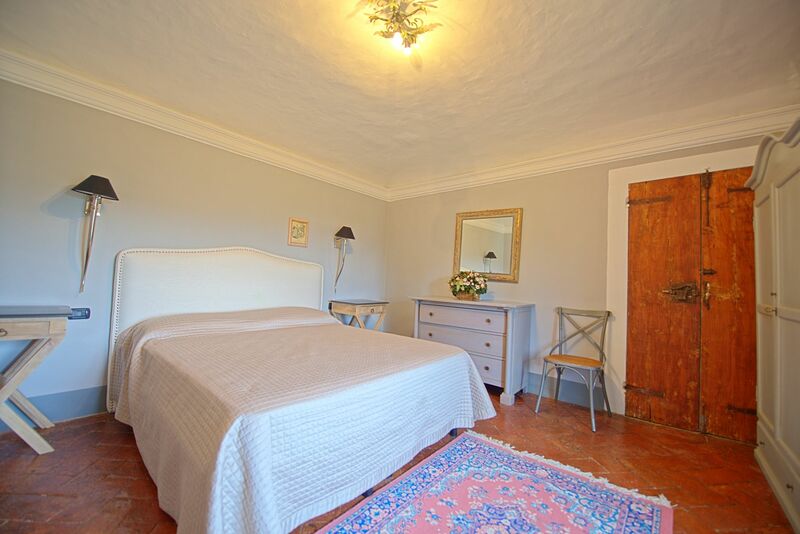 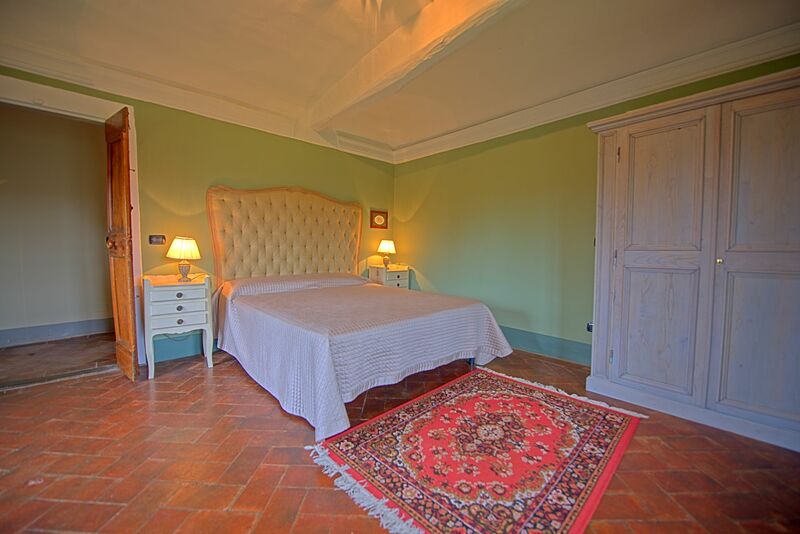 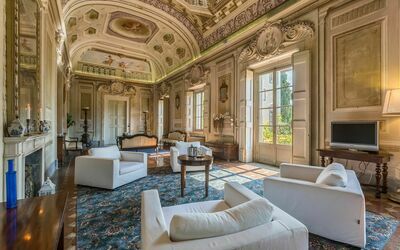 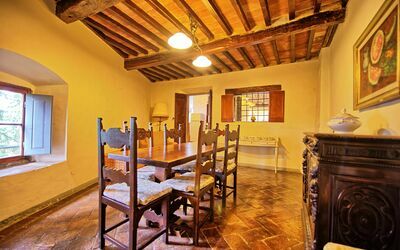 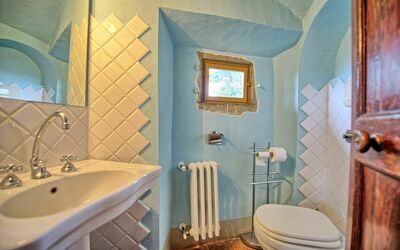 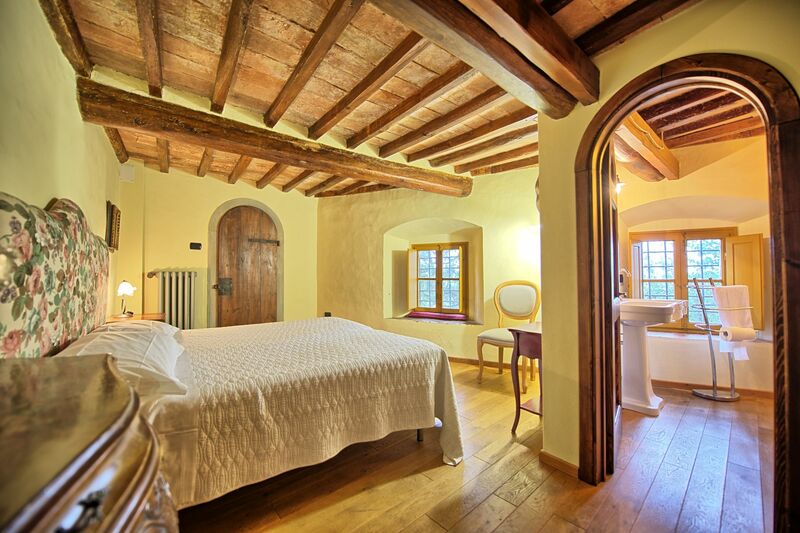 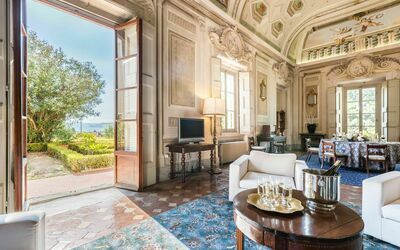 Beautiful and prestigious apartment with frescoed ceilings situated in the southern wing of the castle. 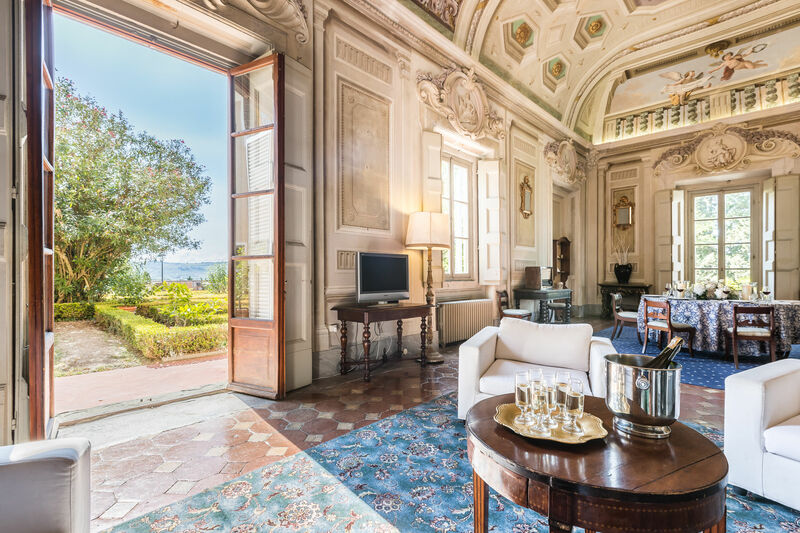 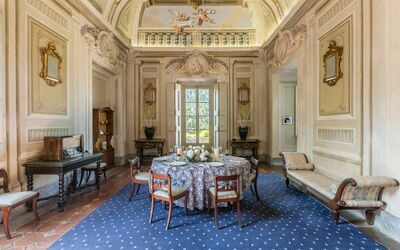 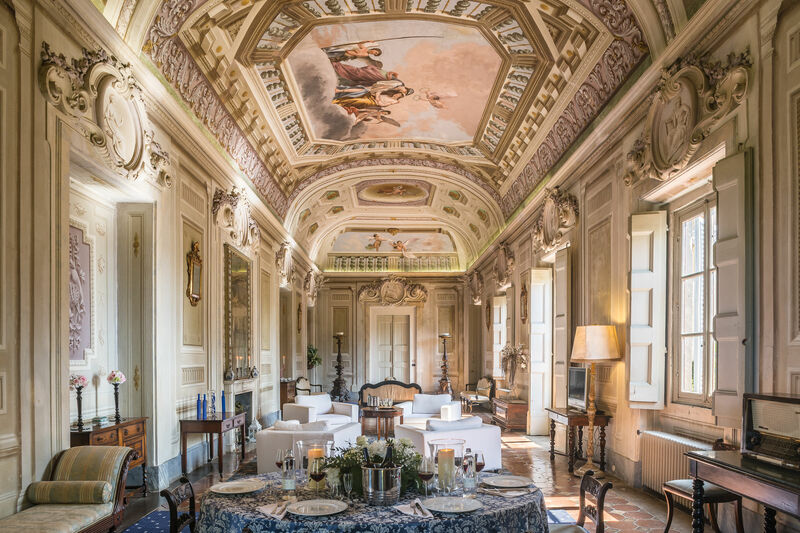 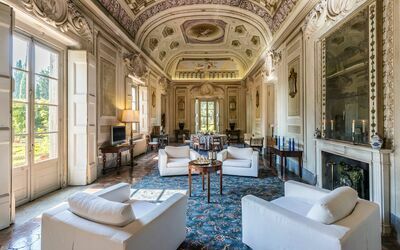 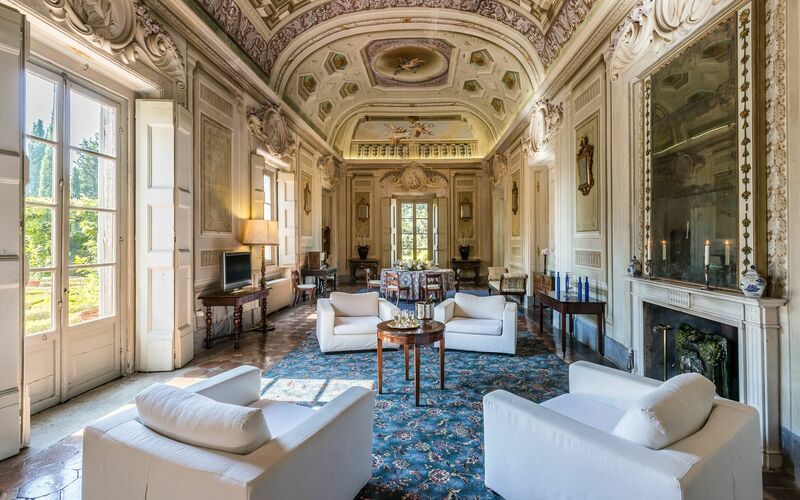 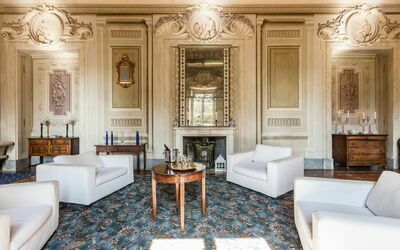 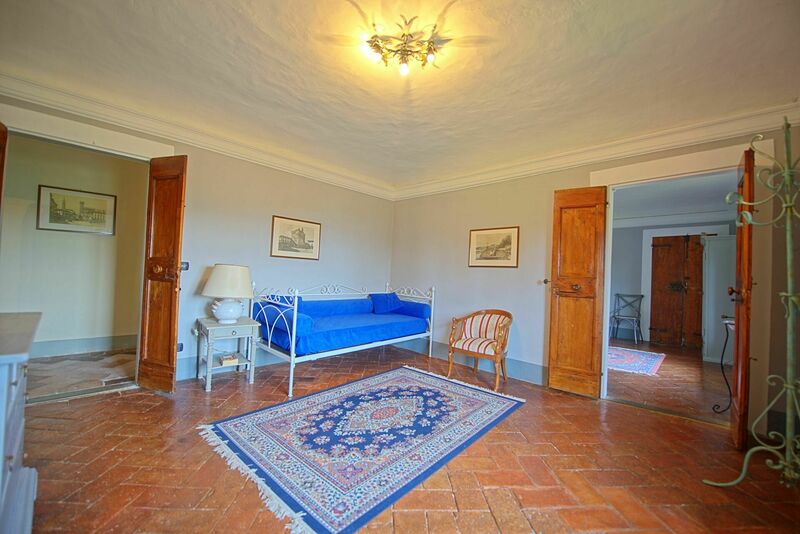 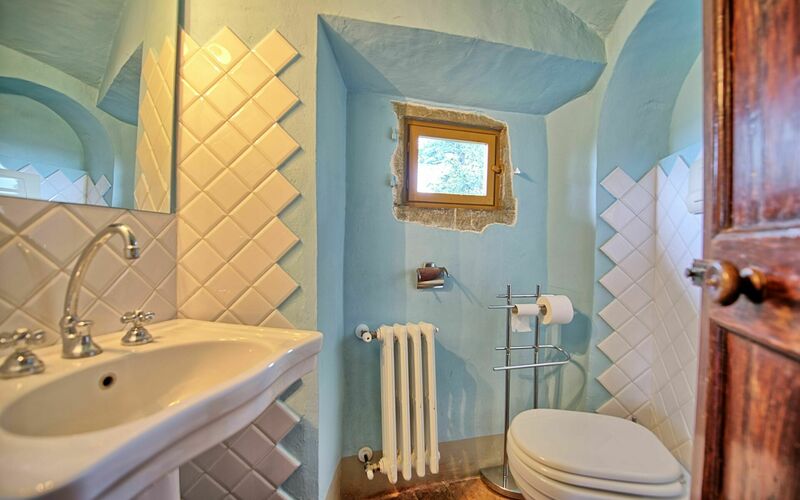 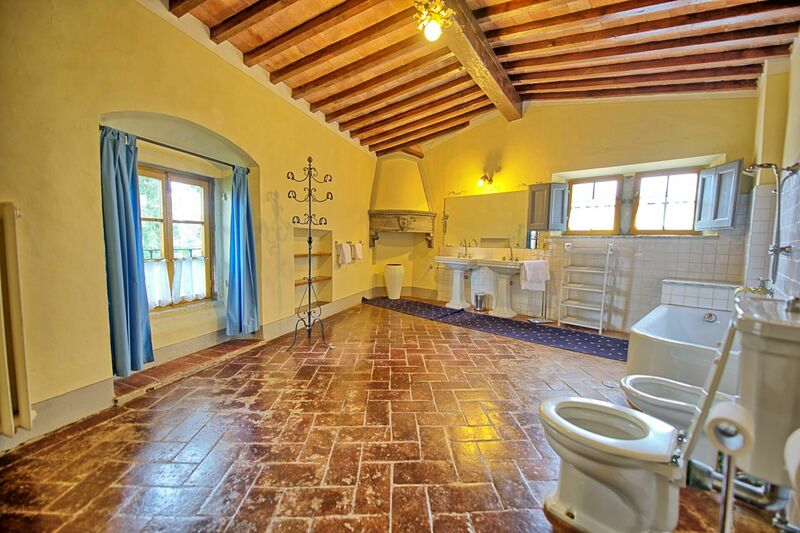 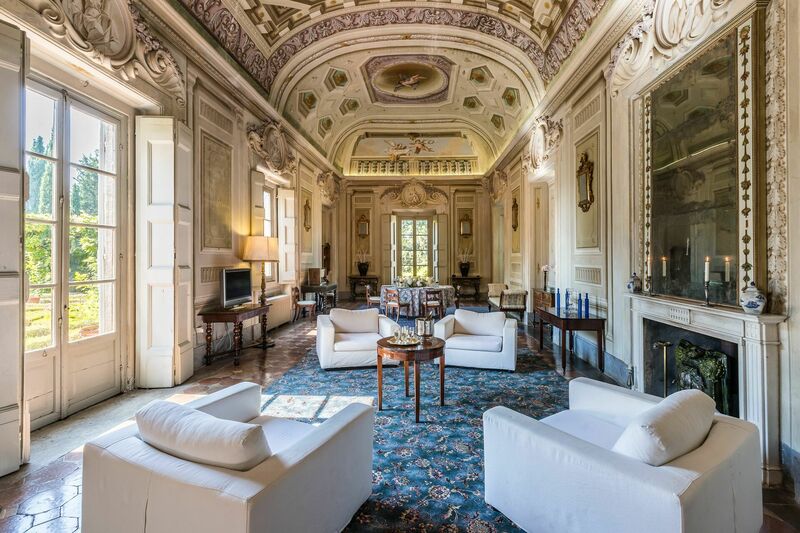 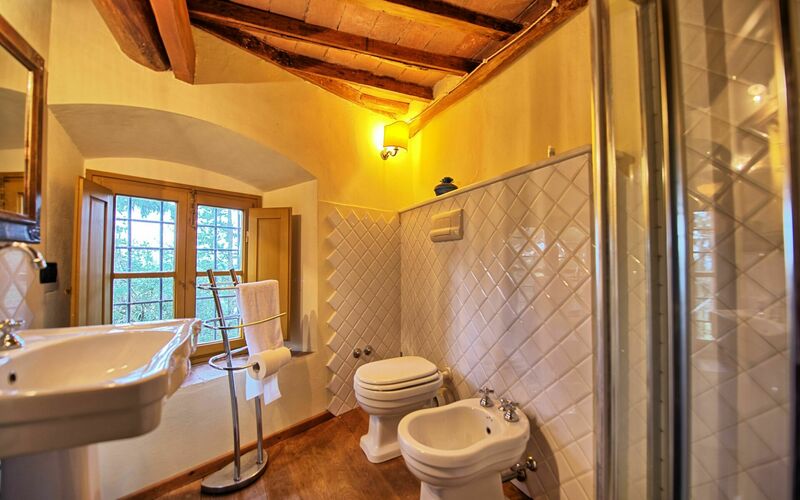 Ground floor: large entrance once used as “sale d’armes”, spacious and bright living-room with beautiful frescoed ceilings, fireplace (non working) with frescoes of Pucci dating back to 1700 ad access, through 6 big French windows, to the charming Italian garden, bathroom with shower. 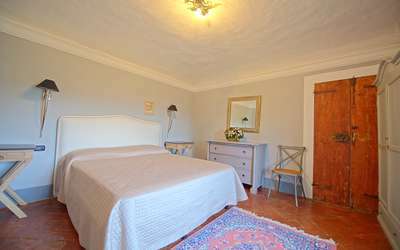 Mezzanine ground floor: double bedroom with ensuite bathroom with shower. 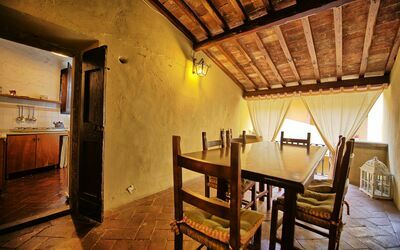 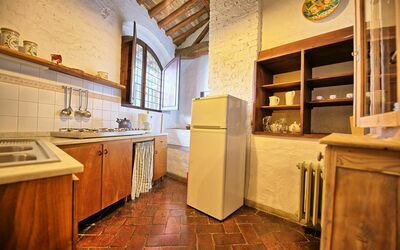 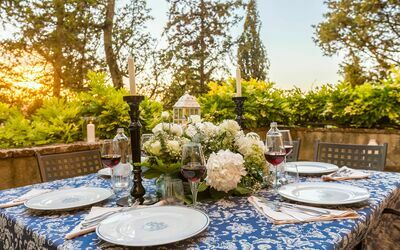 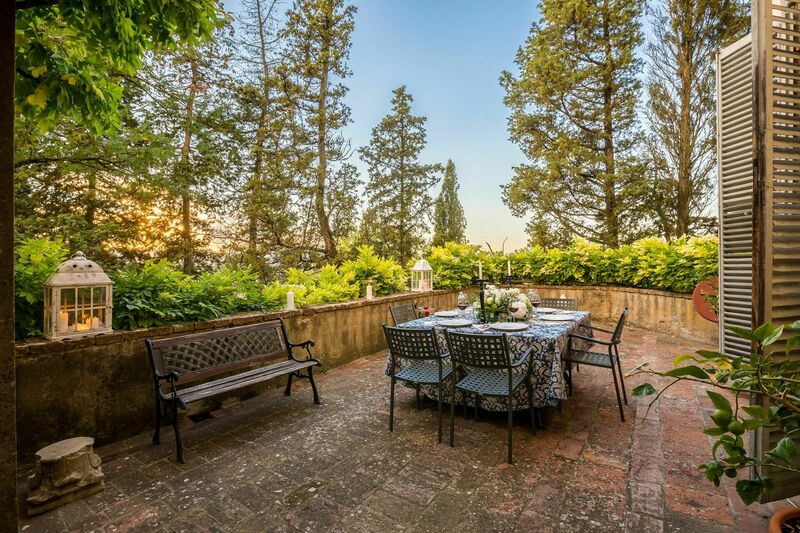 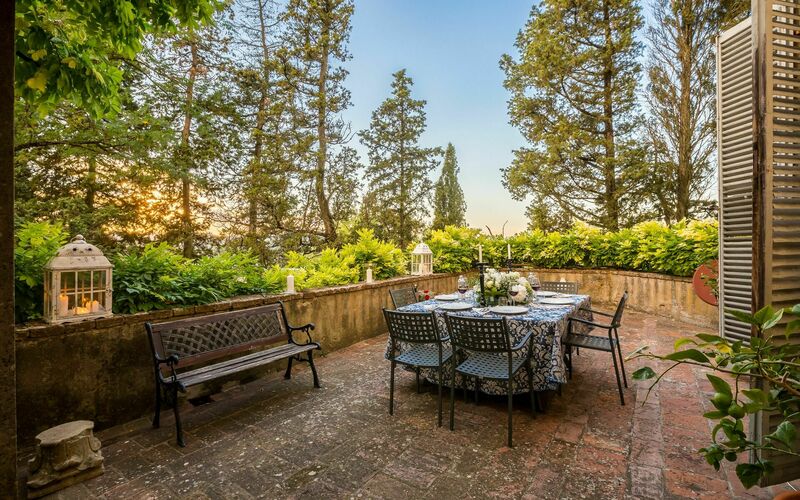 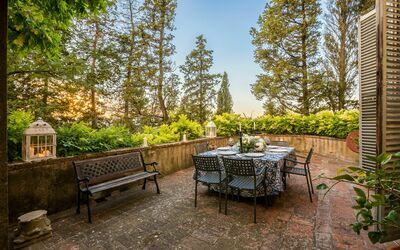 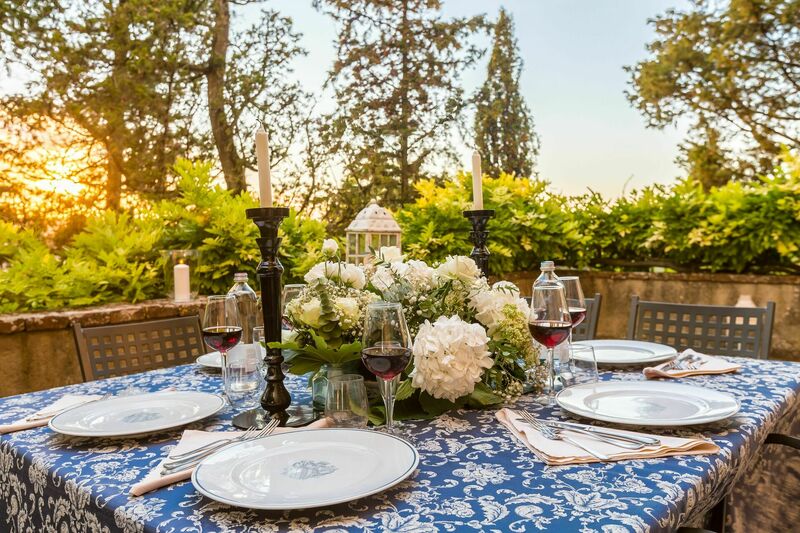 Some steps higher: dining-room with access to the kitchen and to a nice terrace furnished for outdoor meals looking over one of the courtyards of the castle. 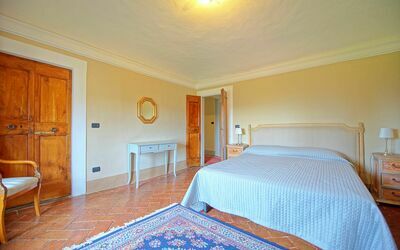 1st floor: 3 double bedrooms, living-room with single sofa-bed, large bathroom with tub and fireplace (non usable), toilet. 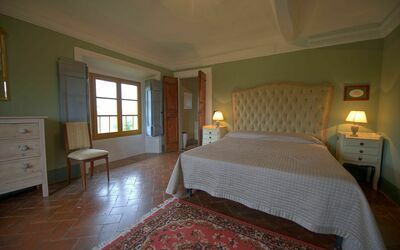 All of the bedrooms offer nice views over the surrounding landscape.